The business landscape is changing at a rapid pace and, as you’d imagine, the external and internal demands placed on managing directors are increasing almost daily. As the landscape changes so have the traits required to be successful. Over the last five years, I have been fortunate enough to have worked with numerous businesses and hundreds, if not thousands, of candidates in making board level appointments, and I have seen a real change in the behavioural traits that make successful managing directors. Number one is an increased social capability. 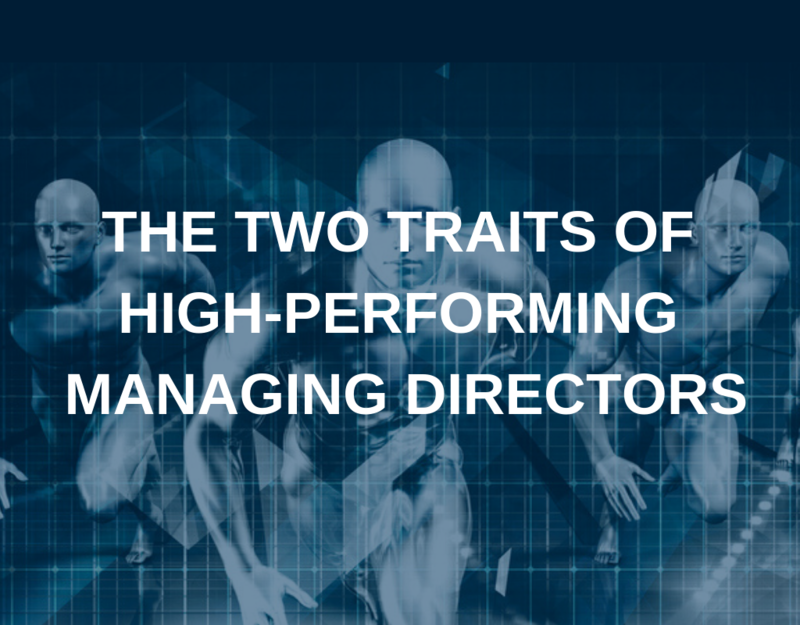 Managing directors are expected to be the face of the business. No longer can they expect to sit in their offices, holding meetings behind closed doors, or shying away from client engagement. Boards, chairpeople, NEDs and owners want highly visible, outgoing, charismatic, even gregarious leaders. Men and woman that will lead from the front, engage with their teams and influence as much externally as they do internally. The other trait that I have seen demand for is independence. That doesn’t mean someone who is a one-person island. It means someone who can act and think independently. Someone who is strong-minded and persistent. As an example, there is a real requirement for agility within the business arena and independent people have strong cognitive capability, learn from their, and others’ mistakes. They can assess threats quickly and effectively, and change the direction of the company, departments of projects and steer them towards successful outcomes. So from a candidate perspective, you need to have thought about these traits prior to interview. You need to be able to demonstrate your social capability and independence succinctly and where possible, with evidence. LinkedIn is a great place to evidence your social engagement with referrals from staff and customers. When you evidence your independence, be sure to talk about the decisions and actions you took and the outcomes. This may be a challenge for social leaders who want to credit the team. From a client perspective, you need to be able to measure these traits. You need to know just how much of each trait is required in your organisation to meet the requirements of the role and fit with the culture of the company. In my experience, relying purely on some in-depth interview questions and a “gut feel” isn’t enough to ensure you hire successfully for the long term. If this resonated with you and you’d like a discussion about how to measure this in your company, or how to demonstrate these abilities in your next interview, feel free to get in touch at craig.elvin@hawkerchase.com.